MovNat is a school of physical competence for the real-world. 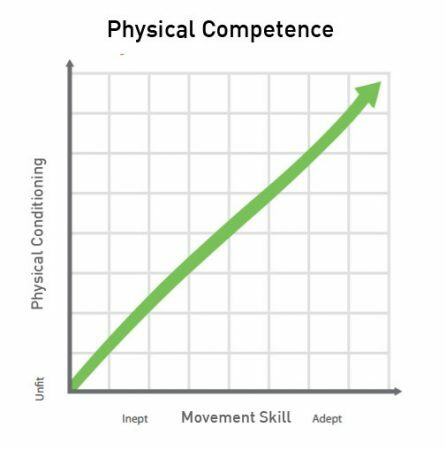 Our goal is to equip people with the movement skills, physiological preparedness (strength & conditioning), and mindset necessary for practical, adaptable performance – both fundamental and high level. Locomotive skills include ground movements (crawling, get-ups), balancing, walking, running, jumping, climbing, and aquatic skills. Manipulative skills include lifting, carrying, throwing, and catching. Combative skills include grappling and striking. MovNat’s method symbiotically develops positional and breath control, spatial awareness, coordination, balance, mobility, stability, strength, power, endurance, adaptability and resiliency, as well as focus/mindfulness and mental fortitude. The progressive practice of movement skill is the foundation of the MovNat method. Making the body stronger and more conditioned is like upgrading your hardware – but the movement skills are the software that governs the hardware. In other words, improving movement skill is not only essential for performance – it actually drives performance. At the fundamental level, this concept should be obvious – but as we’ve gradually disconnected from our natural environment it has become less so. In our modern society, our environment doesn’t require physical performance – therefore most of us view “fitness” as a chore to keep our bodies looking socially acceptable while avoiding the pains associated with a sedentary lifestyle. But this logic only leads the great majority to develop an unnatural, unhealthy fear of moving. In the bigger picture, Natural Movement is an instinct that we have been conditioned to suppress from a young age. By reconnecting to Natural Movement in a progressive, systematic way we are able to safely and effectively unleash our natural drive to move – improved conditioning, strength, mobility, body aesthetics, and overall state of health become the consequence. Ironically, MovNat sits at the “cutting edge” of the fitness industry because it represents authentic movement in a natural balance; as an unspecialized system, it truly is for everyone. In fact, anyone from an elder to an elite athlete can benefit from the practice. MMA fighter Carlos Condit understands this concept, as he benefitted from working with me, both indoors and outside, on specific movement skills that dramatically improved his game. By working on skills and specific drills that required lower gait stability and a higher level performance of his feet, I was able to improve his stance, footwork, and overall stability – something his coach Greg Jackson admitted he saw was needed but was unable to correct. MovNat is bigger than movement; its a mindset. Real world strength – what we call “physical competence” – is and always will be our biological call of duty. Its the strength of self-reliance: to be able to work hard without quitting, get dirty playing with your kids, and step forward with something to offer when a helping hand is needed. Imagine if the vast majority of people possessed such an empowered, self-actualized mindset to not only preserve their own vitality well into old age, but also consider that of others and the environment at large. The positive effects on our civilization would be far and deep. For that reason, the mindset that is cultivated through Natural Movement – not extreme stunts in nature – is the highest goal of MovNat. Through natural physical education and training, we create the ultimate foundation for anyone to achieve fitness, vitality, and true freedom. I love how MovNat can be so effective for everyone “from an elder to an elite athlete”. But what about kids? 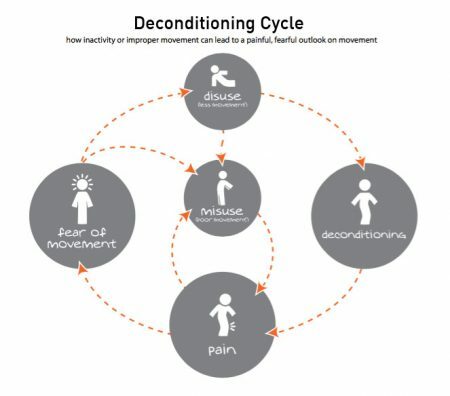 Is there any specific kid oriented training to prevent the deconditioning cycle from ever taking place? I let my soon-to-be four year old move freely; barring any real safety concerns. He’s the master and I’m the student. And, through seeing my practice, he lets me know when he wants me to teach him something specific. At that time, I do teach him. And then I let him continue to play and be. As far as structured classes for children/the youth, I know of two coaches/trainers that teach the young on a regular basis. And it appears to be working out very well. It will be nice to see Natural Movement as a part of regular physical education. What will be, in the next 10 years? I gave heard about Movnat by various healthcare practitioners in Calgary, Alberta. I’m an RMT with my own chronic conditions due to past injuries. I’m very interested to learn more about for the benefit of my patients and myself.